This is something that my husband has been requesting for a while. I think I finally perfected it! Sauté onions with spices and beans, until fragrant. Add the tomatoes with the juice and water. Stove top: bring to boil and let simmer until done. Add crushed garlic and adjust seasoning. In pressure cooker: 24 minutes to pressure and then released the pressure quickly by running cold water over the lid when done. 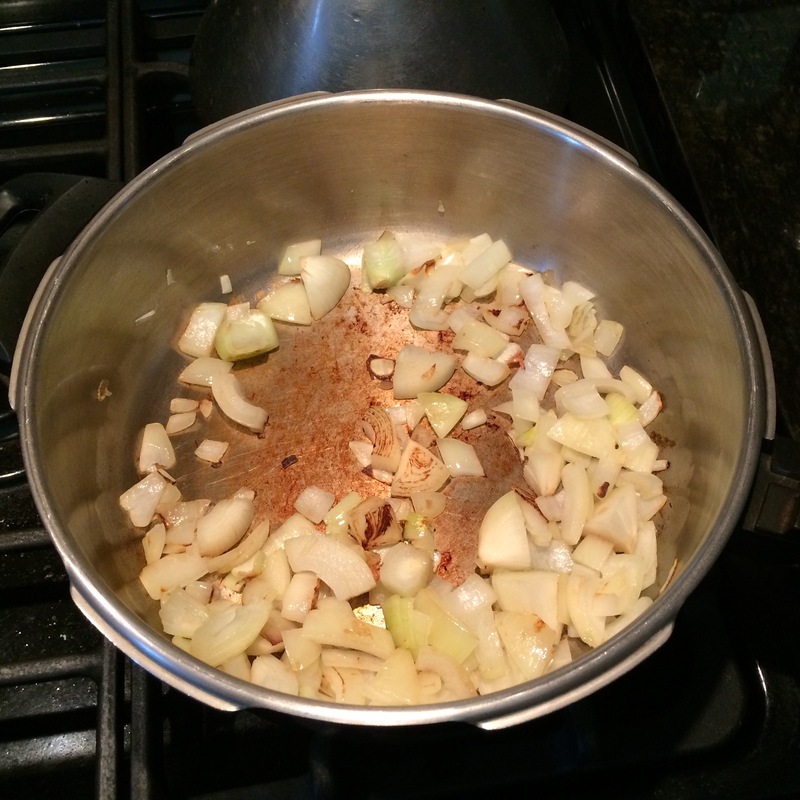 Add crushed garlic and adjust seasoning when cooked. I served the beans with rice and taco shells. Both girls ate second helpings! Pressure cooking legumes is definitely the way to go. 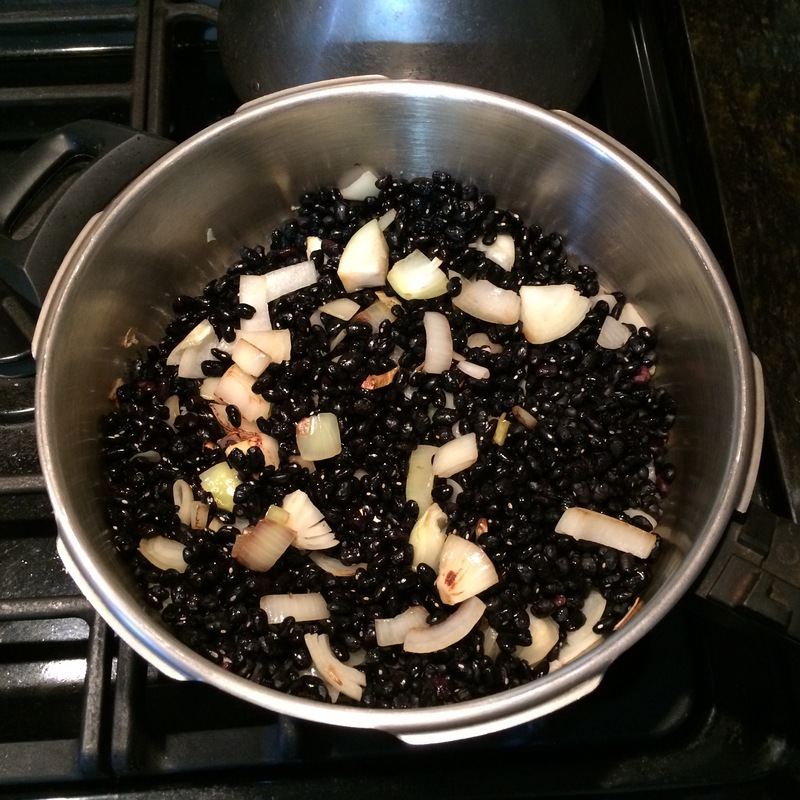 Black beans are so versatile and delicious too! 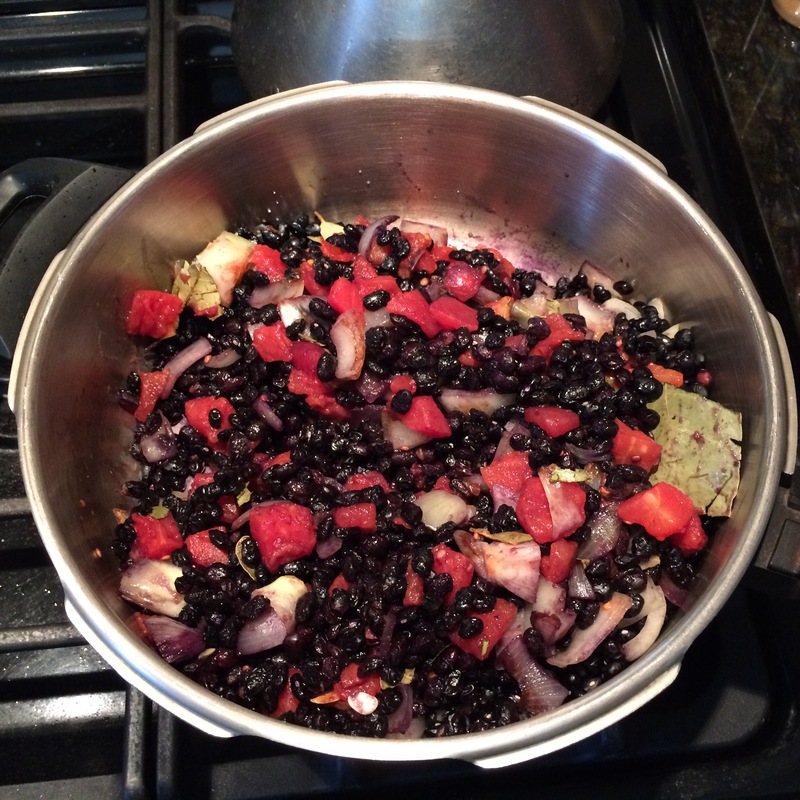 Black beans are so good to begin with but with the spices and tomatoes I bet these are great! It came out really well. It’s all gone so that’s a good sign. this looks so good Carol! I love black beans so this sounds really good! The bay leaves sound like a wonderful added flavor! I love the flavor of bay leaves and yes hot pepper flakes would also be a great flavor! They give such a nice flavor! Your pictures are great and the recipe reads delicious ! I don’t have a pressure cooker in the truck but I have a notion to try this in the convection oven at 275f loosely covered.. It will take longer but maybe not too much.. 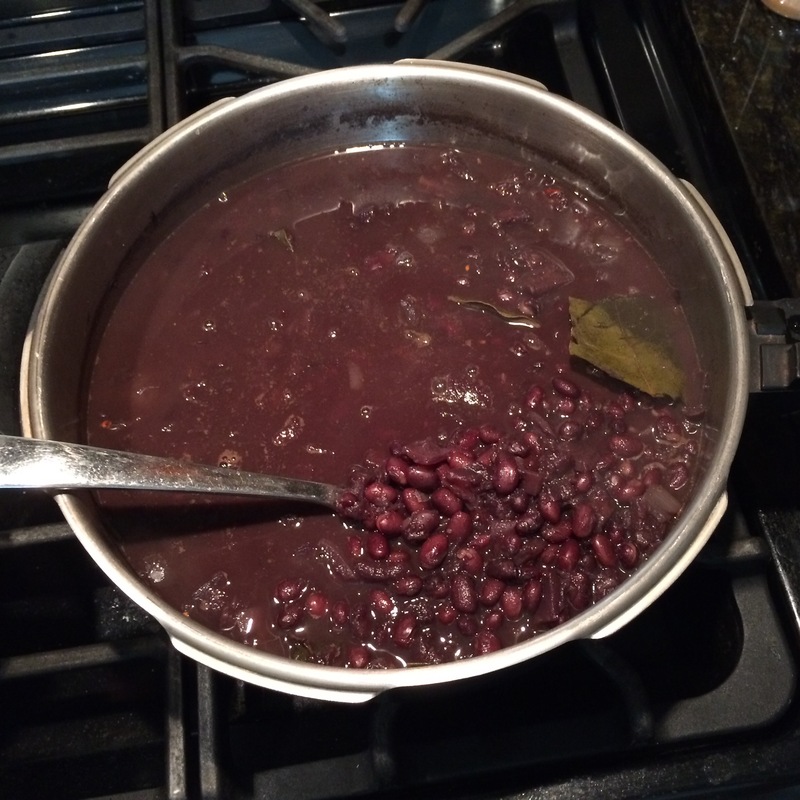 When you can get children requesting second servings of fiber rich beans, you cooked a winning meal! Well done. Sounds like a good meal. Pictures are nice. Thank you! I was so happy that if came out well.